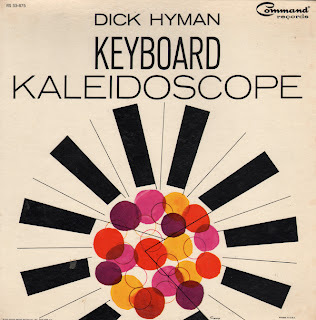 Fun space age cover and good musical stuff. This is a terrific album featuring colorful cover art. 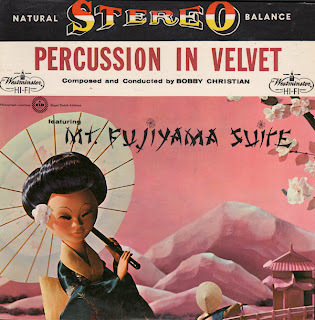 I believe that I blogged the shorter track from side one, The Japanese Temple in this post: Nothing But Percussion Vol. 2. 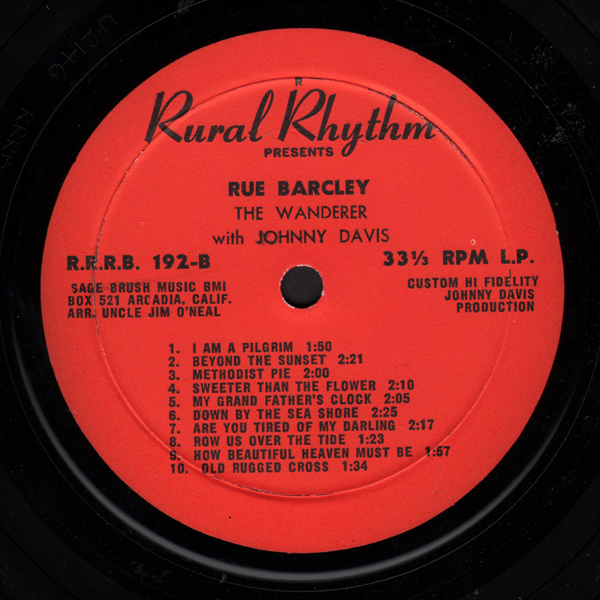 Side one from this album was reproduced on that record. 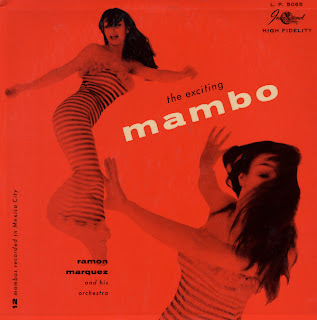 So I'll feature, as my sample track, an outstanding tune from side two. Enjoy! 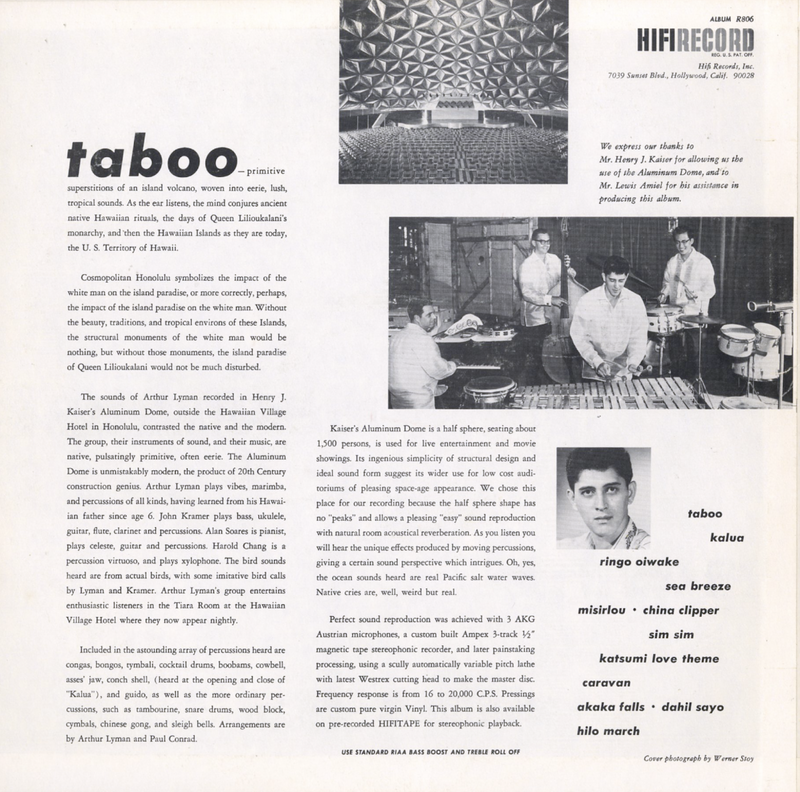 From the May 27, 1957 issues of Billboard magazine: If shown, should sell well to jazz browser, and particularly to collectors. I guess "If shown..." wasn't a given considering the suggestive cover. Available for purchase/download so I will not be posting a sample. Sorry! 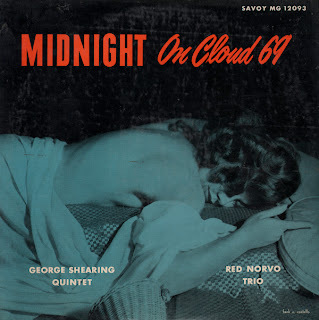 Nice period space age jazz. If you were expecting to hear this lovely cover model sing... that's not gonna happen. 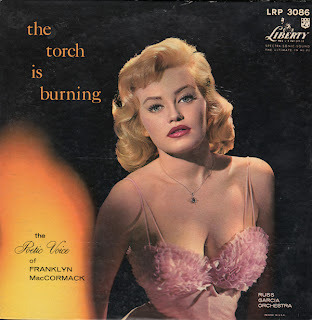 This is a fun oddball recording featuring long time Chicago radio personality Franklyn MacCormack. All of the songs are instrumentals over which MacCormack reads the lyrics. 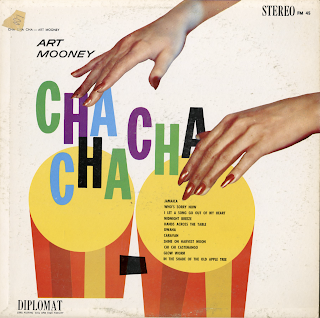 I believe this is the only album MacCormack made. I'll include the notes from the back cover as MacCormack's wiki page doesn't contain some of the info. For over twenty years Franklyn MacCormack's poetry has been featured on all four major radio networks. Outstanding were such programs as "Poetic Melodies", "Nocturne, The Readings of Franklyn MacCormack", "Shades of Blue", "Memories of You" and others, known from coast to coast. An indication of his tremendous appeal to people in all walks of life was his average mail – from ten to fifteen thousand letters a month. Born in Waterloo, Iowa, one of five children, Franklyn forsook a college education for the theater. His association with Wayne King, one of the great band leaders of the early days of radio, lasted for twelve years. 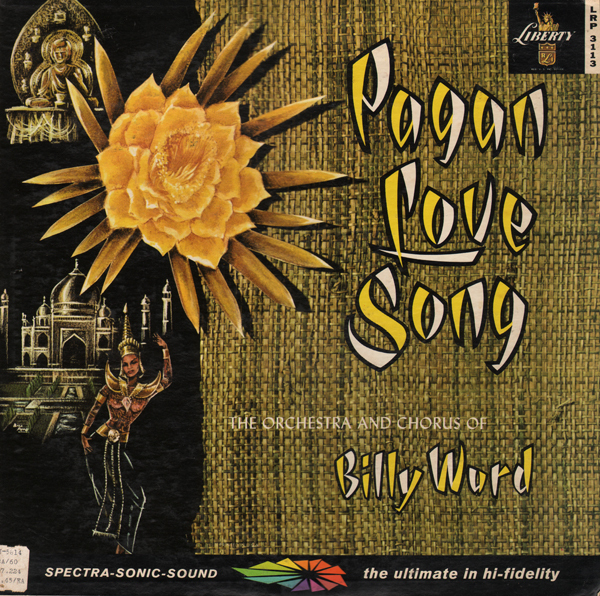 During this time he recorded his famous "Melody of Love" with the Waltz King, which has sold over two million copies to date. Mr. MacCormack was a member of the WBBM radio staff in Chicago from 1932 until 1939. He free-lanced until his return toWBBM-TV in 1954. Whether you know him for his radio and television shows, recordings or motion pictures, we are sure you will be pleased that we have brought Franklyn MacCormack into your home again, with all the poetry, nostalgia and passion for which his voice is so famous. 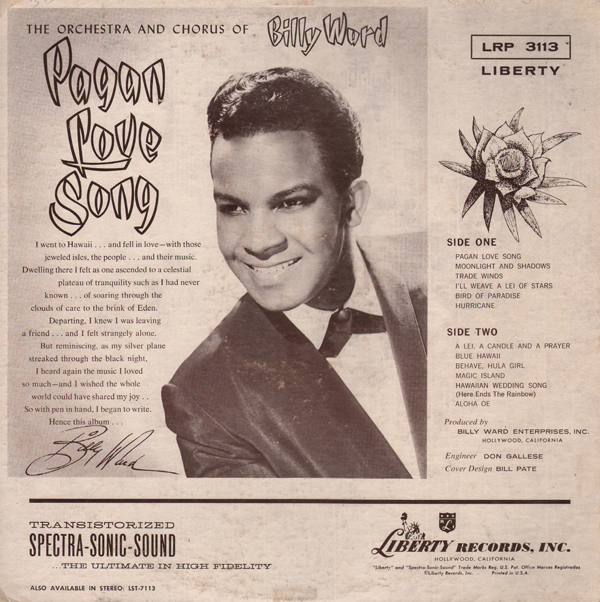 Russ Garcia would go on to make one of my favorite albums on Liberty in 1959 titled Fantastica. This record came in a blank jacket with the record catalog number stamped on the front and the record company catalog printed on the back. From by "bad habits" album cover collection. 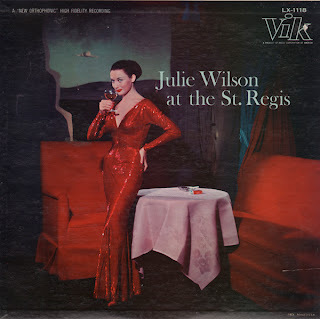 The stunning Julie Wilson drinking and smoking... in that red dress. Available on CD so I won't be posting a sample. The songs are of the suggestive lounge/cabaret variety. 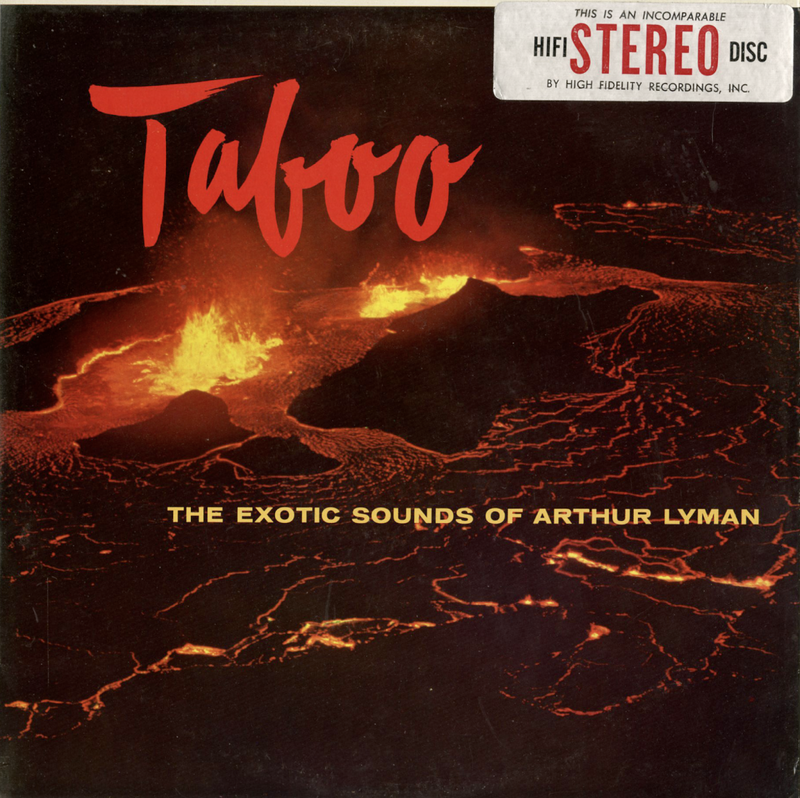 Highly recommended exotica set followed a year and a number of albums later by Taboo Vol. 2. 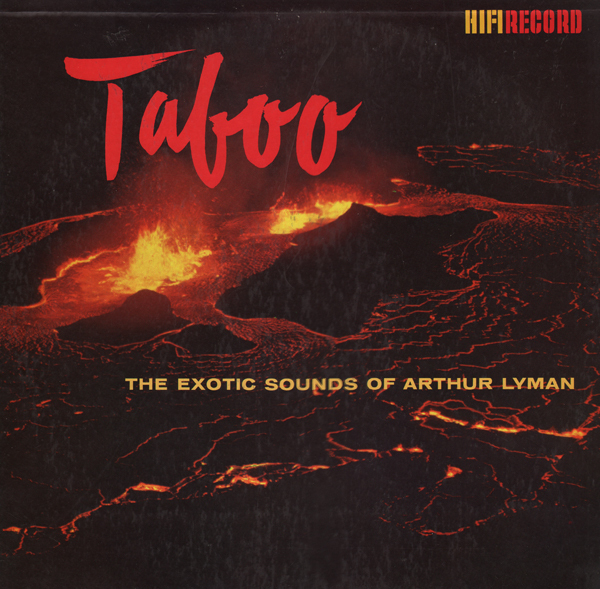 From the back cover: The sounds of Authur Lyman recorded in Henry J. Kaiser's Aluminum Dome, outside the Hawaiian Village Hotel in Honolulu, contrasted the native and the modern. The group, their instruments of sound, and their music, are native, pulsatingly primitive, often eerie. The Aluminum Dome is unmistakably modern, the product of 20th Century construction genius. Arthur Lyman plays vibes, marimba, and percussions of all kinds, having learned from his Hawaiian father since age 6. John Kramer plays bass, ukulele, guitar, flute, clarinet and percussions. Alan Soares is pianist, plays celeste, guitar and percussions. Harold Chang is a percussion virtuosos and plays xylophone. The bird sounds heard are from actual birds, with some imitative bird calls by Lyman and Kramer. Arthur Lyman's group entertains enthusiastic listeners in the Tiara Room at the Hawaiian Village Hotel where they now appear nightly. Kaiser's Aluminum Dome is a half sphere, seating about 1,500 persons is used for live entertainment and movie showings. Its ingenious simplicity of structural design and ideal sound form suggest its wider use for low cost auditoriums of pleasing space-age appearance. We chose this place for our recording because the half sphere shape has no "peaks" and allows a pleasing "easy" sound reproduction with natural room acoustical reverberation. 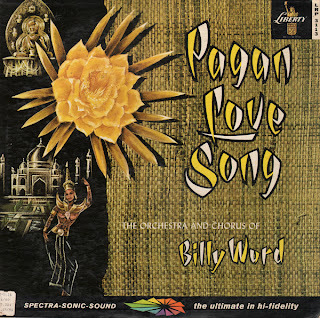 As you listen you will hear the unique effects produced by moving percussions, giving a certain sound perspective with intrigues. Oh, yes, the ocean sounds heard are real. Pacific salt waves. Native cries are, well, weird but real. Also from the back cover: Perfect sound reproduction was achieved with 3 AKG Austrian microphones, a custom built Ampex 3-track 1/2" magnetic tape stereographic recorder, and later painstaking processing, using a scully automatically variable pitch lathe with the latest Wetrex cutting head to make the master disc. Great period exotica album jacket design. However, the musical style is more traditional big band/broadway. 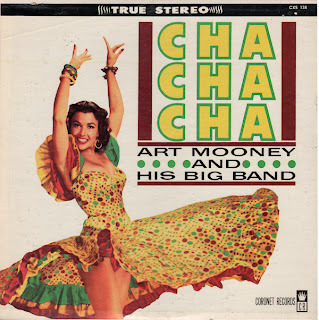 As you can tell, there is some great big band Cha Cha on this album and you get the smoking hot cover! It was hard to pin down the release date. One source suggestion 1964, but from the cover, I'd say 1959 or 60. 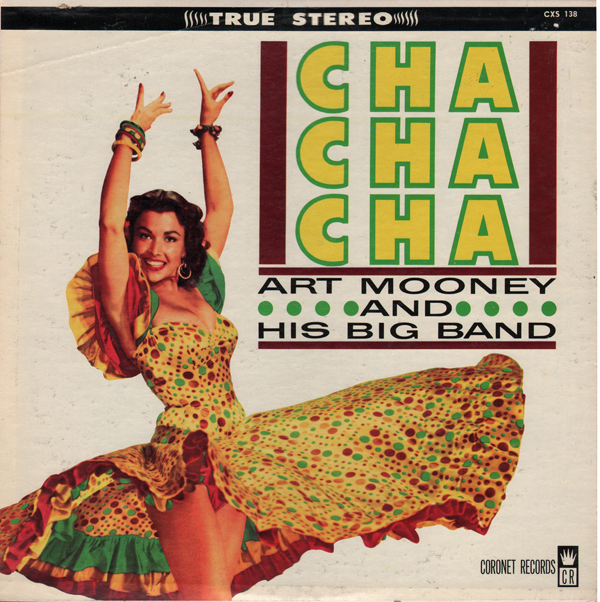 This release features jacket notes on Art Mooney: Art Mooney was born in Lowell, Massachusetts. However, his family soon moved to Detroit where Art grew up. 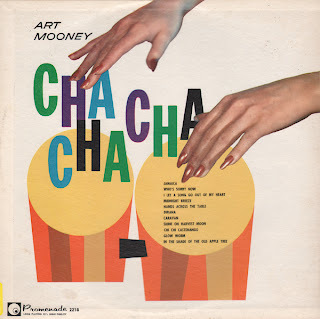 His father was a member of the police force there and Art Mooney went to a technical high school in Detroit to study to become a linotype operator. He took to the saxophone immediately and soon got a group of his high school friends together and started a band. This group played all the local school dances around the city. After graduation, Art Mooney gave up the idea of music and pursued his career as a linotype operator. However, he wasn't on the job very long when he started to dabble in music in his spare time. Soon Art got odd jobs playing his sax at night with local bands and he began to love it and started thinking about a band of his own. He got his first opportunity when, as a linotype operator, he was to set up an ad announcing the engagement of one of the top bands of the time; instead Art Mooney inserted his own name and, although he was fired from the job, he felt it was a good break for him because it gave him a chance to try his luck in the music world. He formed a band and started on the road but soon was drafted in the Army. For three and a half years Art Mooney conducted the Miami Beach Air Corps band and when he was released from service he had already made a name for himself through his record hits of "Roll Out The Barrel" and "I've Been Working On The Railroad." He then organized a band and was waiting for the big chance when he finally got a two week engagement at the New York's Lincoln and Edison Hotels; the engagement extended itself for eight months. From this date, Art won a radio network contract and his future was made. Weird and obscure budget album. Weird, because there is no rhyme nor reason for the blend of styles featured. 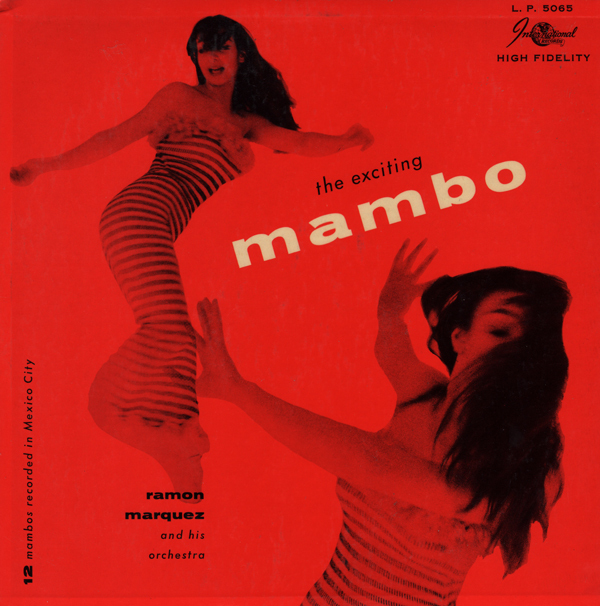 Check out the lounge version of The Impossible Dream. Wow! They pressed whatever they had on the shelf. 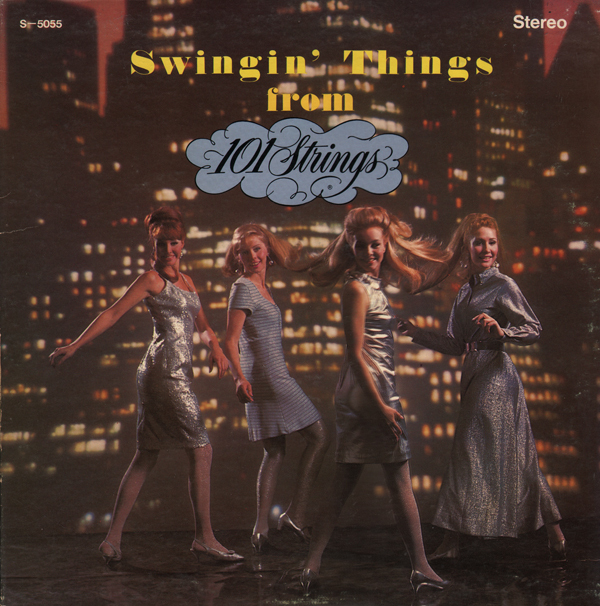 Another inventive early 60s light pop album from Enoch Light's Command label. Some of the tunes from this album may or may not be available online. 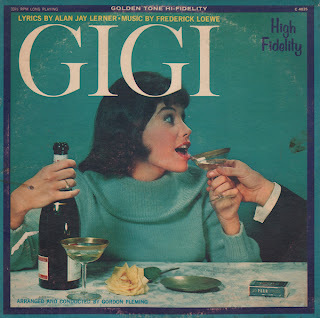 The name of the albums the available tunes are said to come from don't match up with this LP. Nice jacket graphic. The music is a somewhat tame by comparison. Fantastic "bad habits" album cover. Popular Science Magazine promotion produced by Enoch Light and Jess Hest. 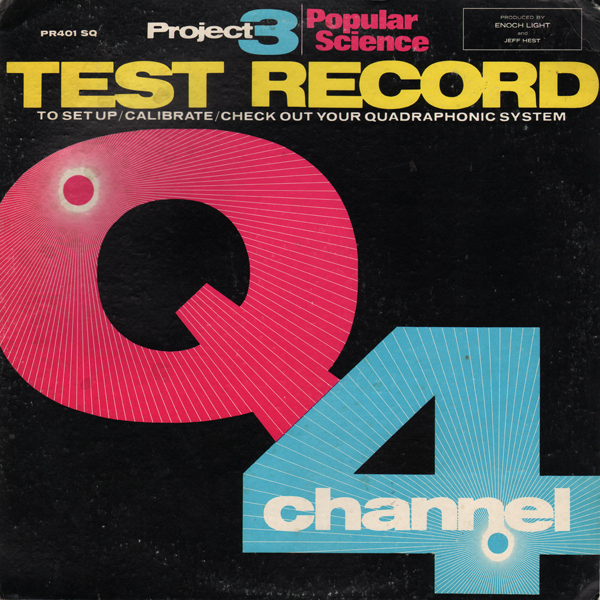 Side one of this record features a variety of "tests". Jumped to side two and listen to the music. All I can say is that all "stereo" records should sound this good! Light's engineering was always superb! The sound is amazing. Wow... Pickwick produced some fun stuff for a budget label. Most of what you may have collected from Pickwick probably doesn't surprise all that much. However this Pickwick LP is unique somehow. 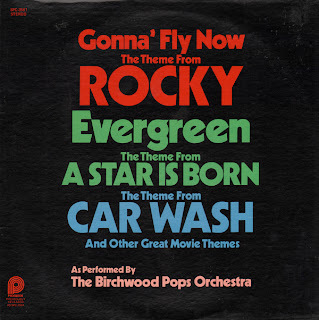 The first two tracks, Evergreen, from A Star Is Born and Car Wash include vocals (hard to believe stuff). But then the album shifts gears and goes into the trippy waltz (that I've posted above). 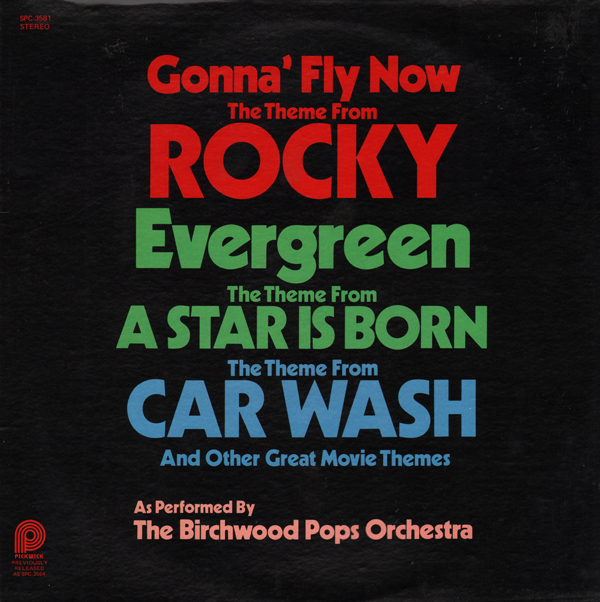 Gonna Fly Now, the theme from Rocky is a cheese synth number which is sandwiched between other more straight forward orchestrated numbers that are nice light pop mood setting tracks. The engineering is some of the best I've heard from Pickwick. 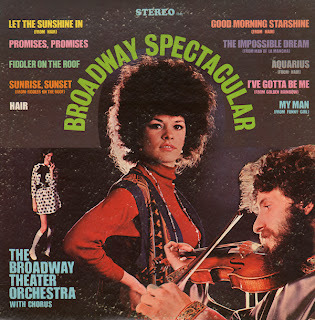 The album cover is a misleading because this LP is not some lame easy listening album. What you are getting into is a fun and quirky light pop or jazz 60s guitar album. 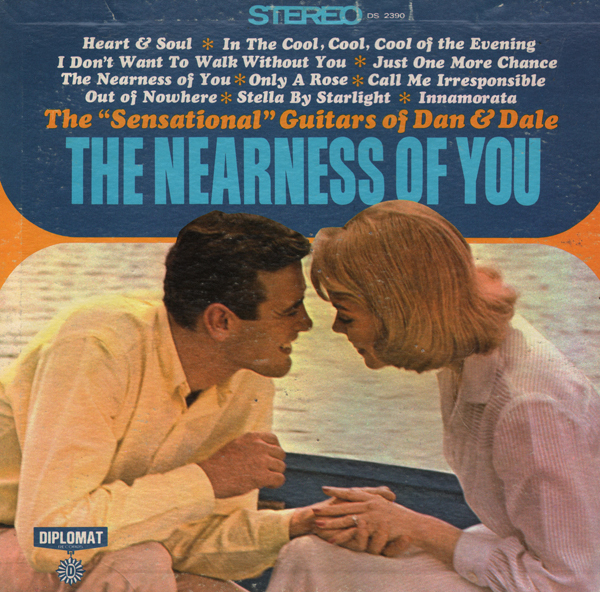 Check out these Dan and Dale albums: The Theme From Hawaii and Somewhere My Love.